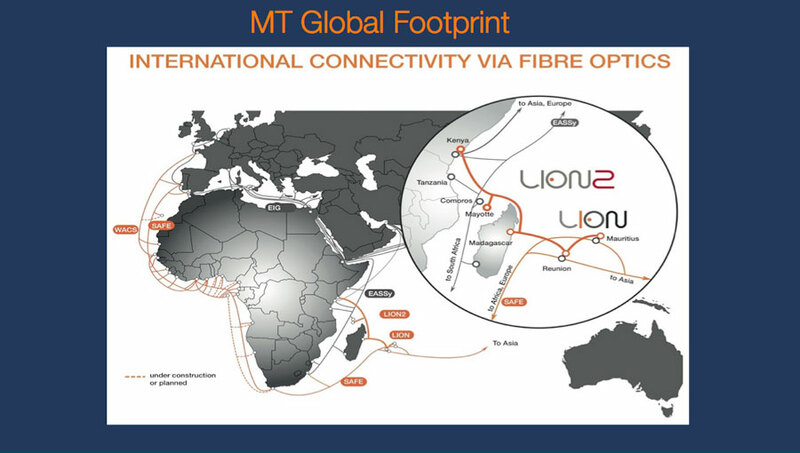 Mauritius Telecom has been at the forefront of the development of the ICT industry, Business Process Outsourcing and Call Centres sector in Mauritius. 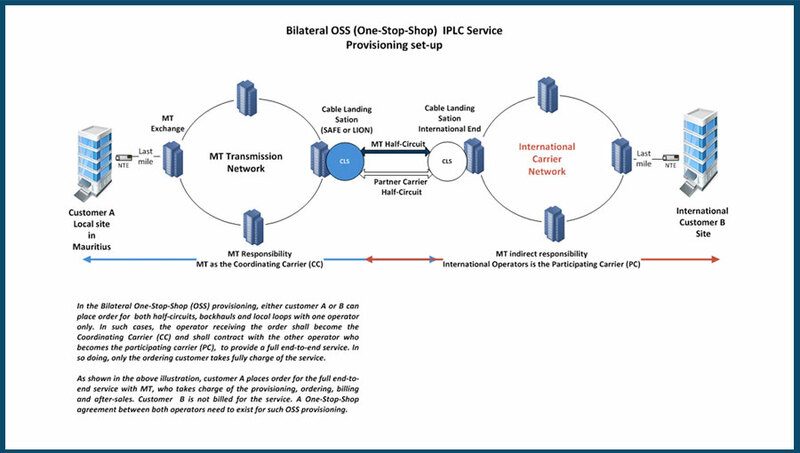 Our Proven Track Record: MT is the preferred service provider of the outsourcing industry, and this thanks to our acquired expertise, cost-effective and scalable customer-centric network solutions adapted to the specific needs of each customer. 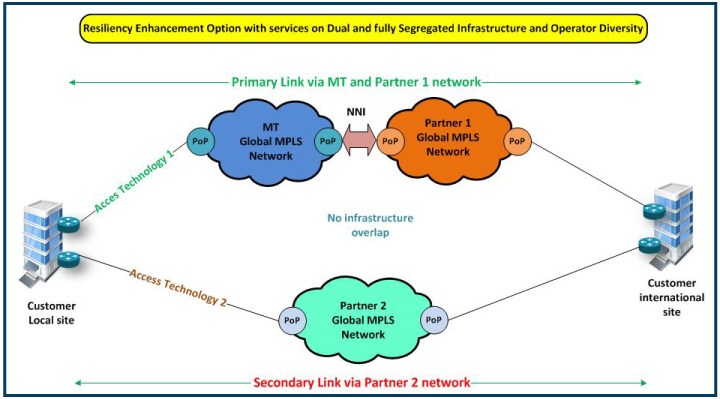 Enhanced Connectivity through a Robust Network Infrastructure and Island-wide coverage: MT network infrastructure is built on fully redundant state-of-the art meshed fibre optic network from multiple vendors , hence ensuring business continuity so essential for the outsourcing industry. Our ubiquitous presence offers customers greatest level of flexibility for choosing their office locations. World Class Service: Over the years Mauritius Telecom has extended its global footprint by joining major regional subsea-cable consortiums SAFE/SAT3/WASC, WACS, EIG, EASSy and LION. 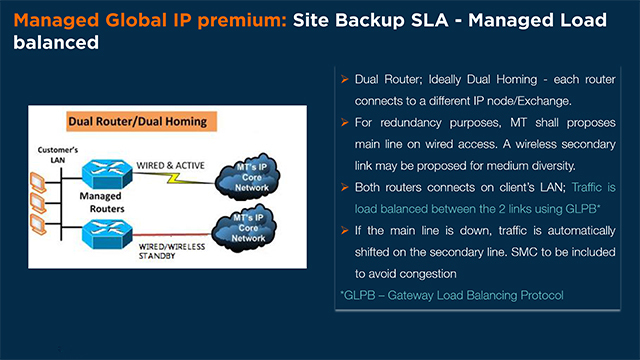 Moreover, MT has built a protected Global MPLS VPN architecture extending the reach of companies globally. 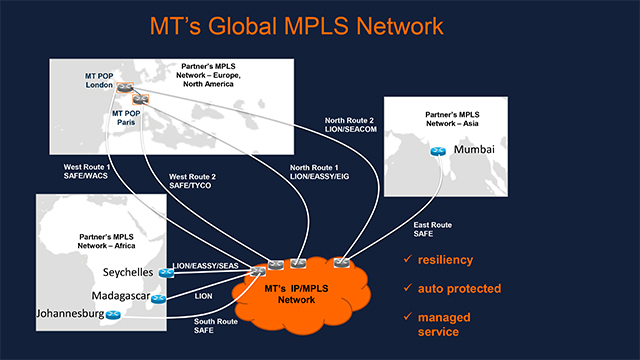 With points of presence in Europe, coupled with strong partnership with International Data Service providers worldwide, MT provides fully secure end-to-end managed connectivity solutions. Creating Value for customers: Our well-established and proven products and services offer the most cost effective solutions on the market.. We enable BPO’s in setting up their operations in Mauritius and accompany their expansion by providing the right solutions. 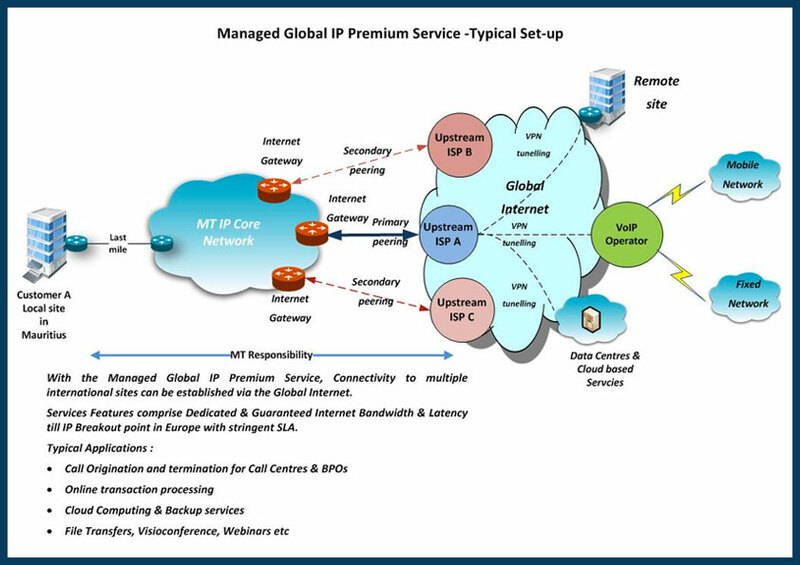 Innovation: As Cloud computing and virtualisation become the norms, MT’s solutions are also constantly evolving to meet these customer needs. 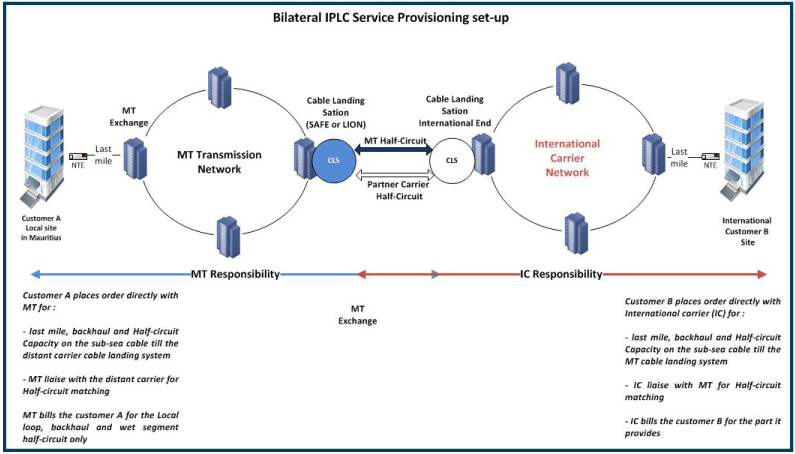 In line with the government policy to promote ICT as a major economic pillar, Mauritius Telecom has been successfully spearheading the expansion of the ICT/BPO sector through investments in its infrastructure, human resource and innovation. With over 700* ICT-BPO based enterprises, Mauritius has one of the richest technology ecosystems in Africa that thrives on innovation and collaboration across sectors. The industry which currently employs over 23,000* professionals is being increasingly leveraged as a value-added destination. 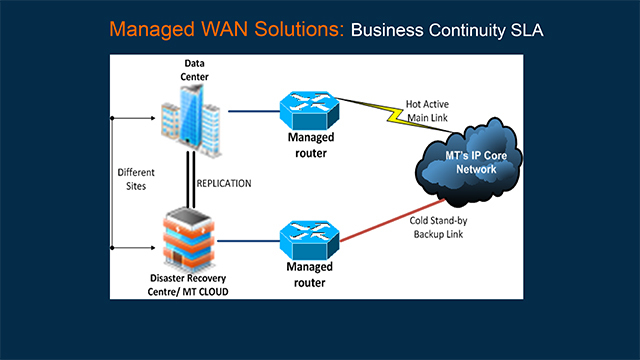 Committed Service Assurance: Business continuity and round-the-clock service availability are at the heart of our service assurance policies and processes. 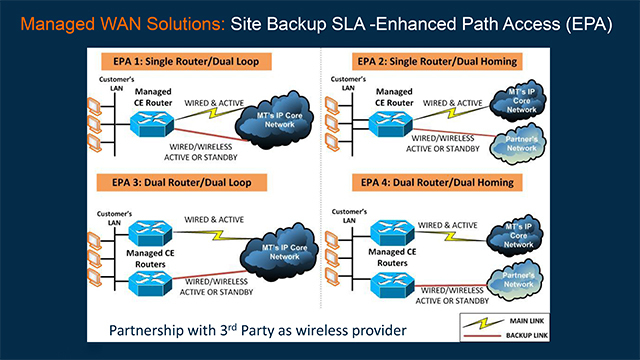 This is why our services come with multiple SLA options based on our customers desired service level requirements. 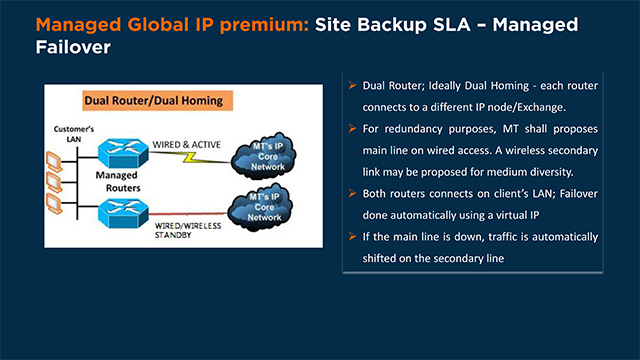 Such stringent SLA options comprise availability enhancement options like dual loop, dual homing coupled with redundant international links to redundant PoPs. 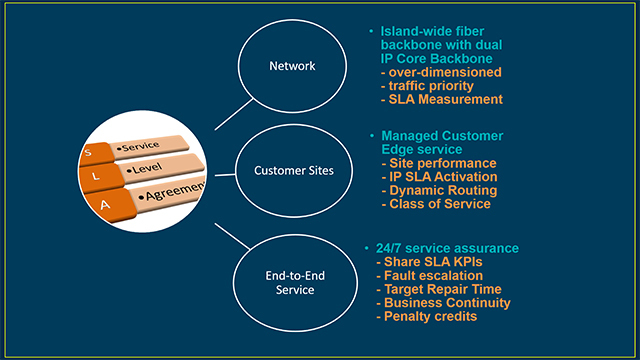 Our higher-end service assurance comprise operator diversity solutions on completely segregated network infrastructure. 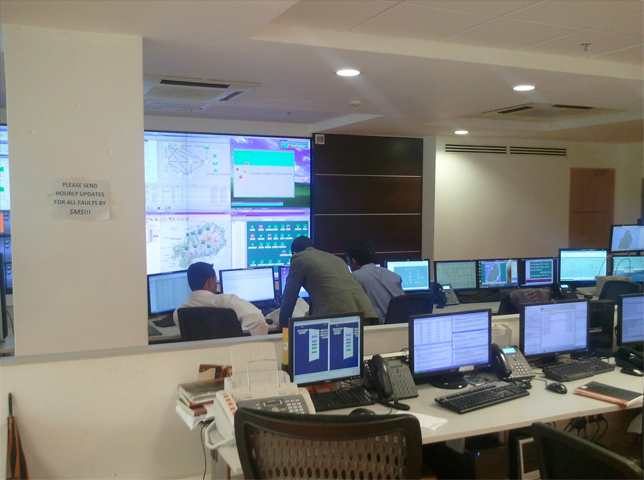 Moreover, our 24/7 manned Service Management Centre provides round-the-clock support and assistance to BPOs and Call Centre customers. 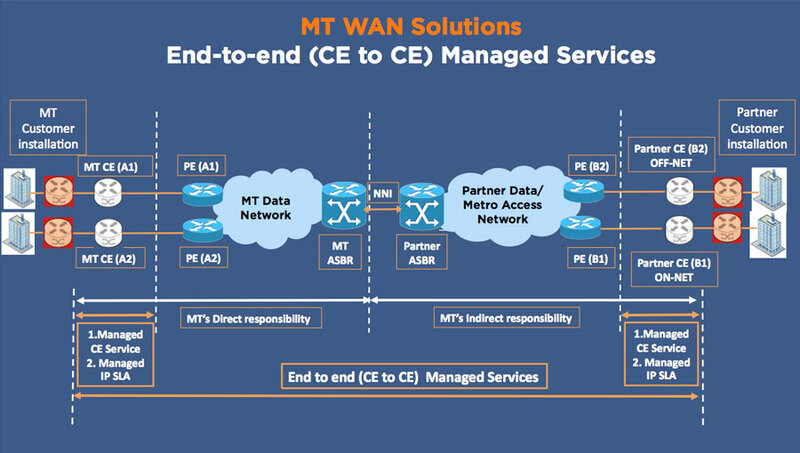 Experienced Technical Resources: At MT, we ensure that our technical team has not only up-to-date expertise but also a service oriented mind-set aimed at enhancing customers’ experience through flawless provisioning, service management, proactive fault resolution and innovative technological processes. 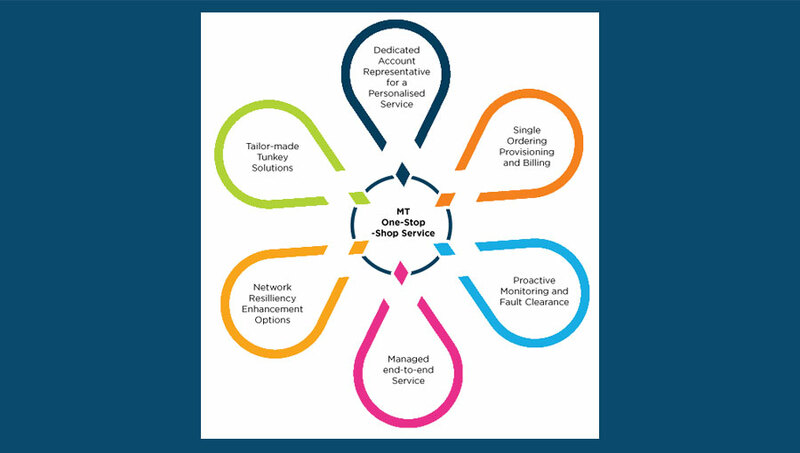 One Stop Shop: At MT, we take care of all your networking products and services requirements allowing you to focus on your core activities to operate in the most optimal environment. 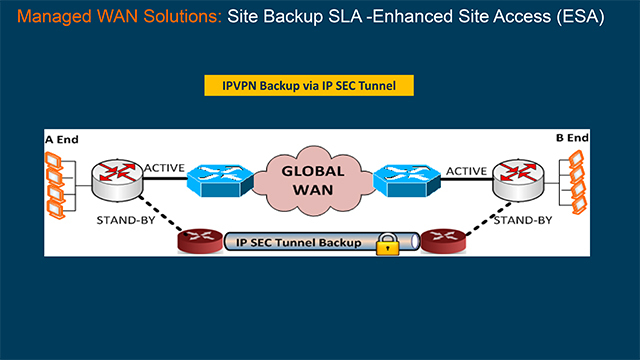 Based on our networking capabilities and enterprise solutions we offer tailor-made turn-key solutions to our customers. Each of our customer deals with an MT dedicated Account Representative, who provide a personalised service and take on board all customers’ demand, queries as a single point of contact. Further information please email us and we shall assist you find the optimal solution for your business.